A few months ago we found ourselves getting rather giddy at Porsche’s rally-spec Cayman GT4. 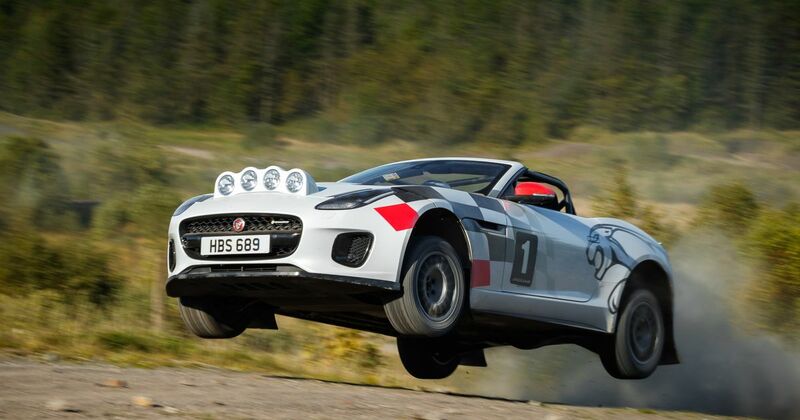 As much as we loved the look of it, though, Jaguar might just have cooked up something even better. 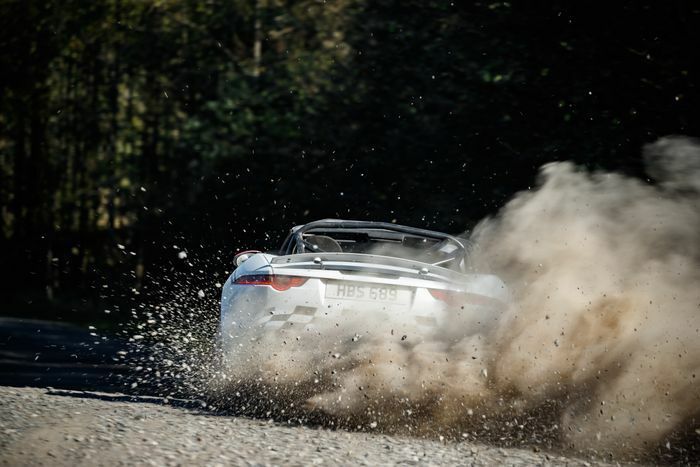 The British company has given a pair of 2.0-litre inline-four F-Types the rally treatment, and - we especially love this bit - used convertibles as a base. Isn’t that just hilariously impractical brilliantly absurd? 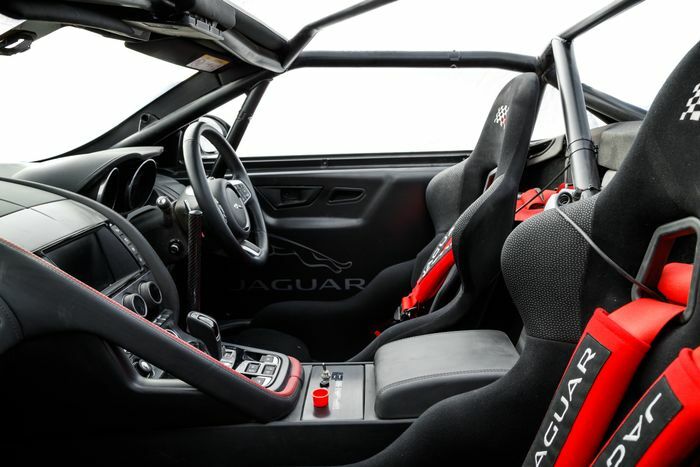 Jaguar Design and Engineering has modified both cars to FIA standards, which means each has a roll cage, bucket seats with six-point harnesses and a fire extinguisher. Competition-spec adjustable dampers with softer springs raise the ride height and help the overhauled Fs tackle rougher surfaces. The brakes have been beefed up, and there’s now a hydraulic handbrake for gracefully flicking the car around hairpins. The wheels are new too, and they’re shod in gravel-friendly tyres. To aid traction on loose surfaces there’s now mechanical limited-slip differential sitting at the rear. The finishing touch is a ruddy great light pod on the front bumper. We approve. 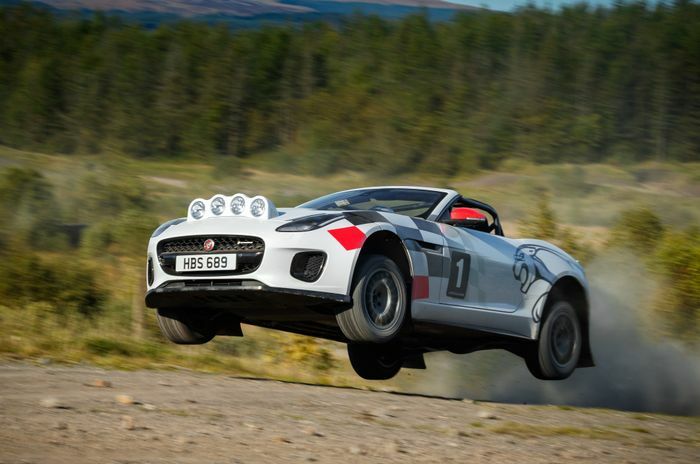 Like the recently revealed Chequered Flag edition F-Type, these cars celebrate the 70th anniversary of the XK 120. They also recall the ‘NUB 120’ XK 120 which won the RAC and Tulip rallies with Ian Appleyard behind the wheel. 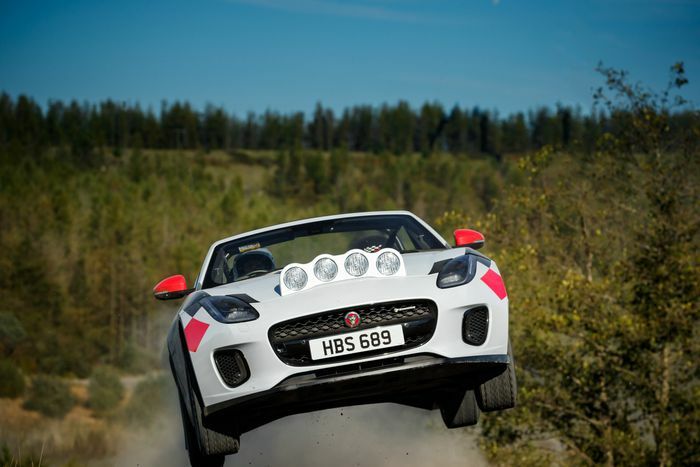 Before you ask, no, the cars are not for sale, and Jaguar won’t be producing any more from what we can gather. The cars will, however, be attending various events in the coming months.